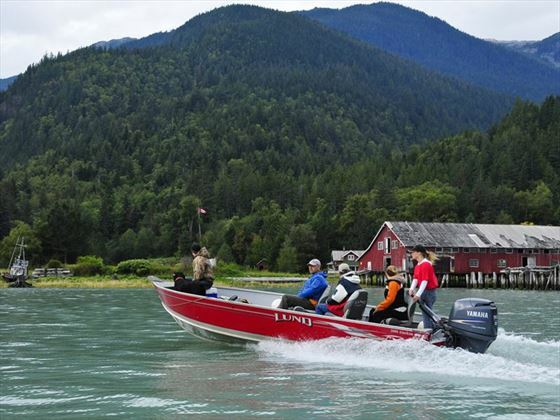 A member of the Magnificent 7 Luxury Wilderness Lodges of Canada, the Tweedsmuir Park Lodge is nestled between the staggering slopes of Mount Stupendous and Mount Mellikan, where the stunning valleys of Atnarkom, Talchako and Bella Coola merge. 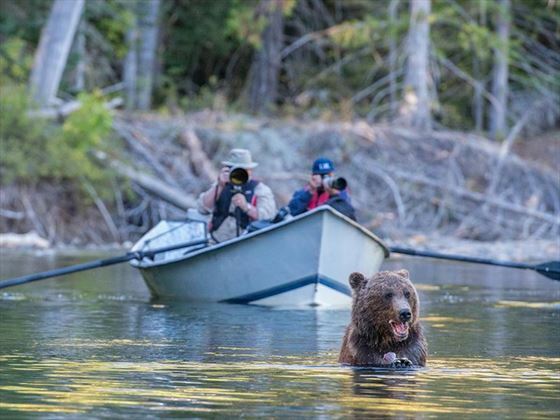 You’ll encounter and explore an abundance of unique wildlife with easy access to the Great Bear Rainforest, as well as private guided tours through the phenomenal wilderness, with sightings including grizzly bears, moose, deer, bald eagles, seals and more. 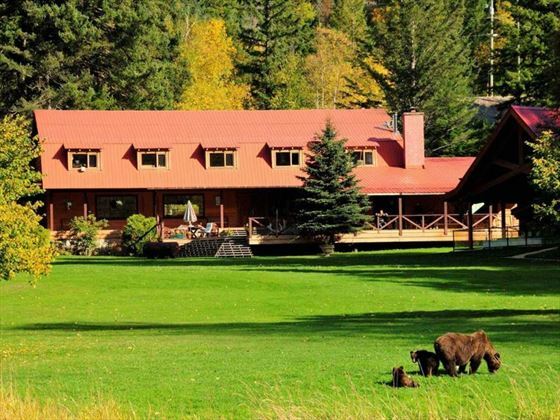 The main lodge building is a fantastic spot to socialize and enjoy a drink by the river rock fireplace, a games area, satellite TV, foosball, table hockey and a retail shop. There are plenty of luxury facilities to indulge in between your wilderness explorations, including a spa building with yoga rooms, massage rooms, a fully-equipped gym, sauna, steam lodge tepee and a 12-person outdoor hot tub which overlooks the beautiful lawn and Coast Range. 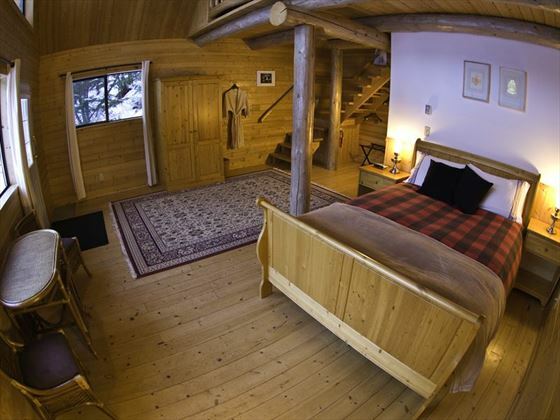 There’s a total of 9 private guest chalets, all decorated with rustic, luxury décor, accommodating between 2 to 4 people. 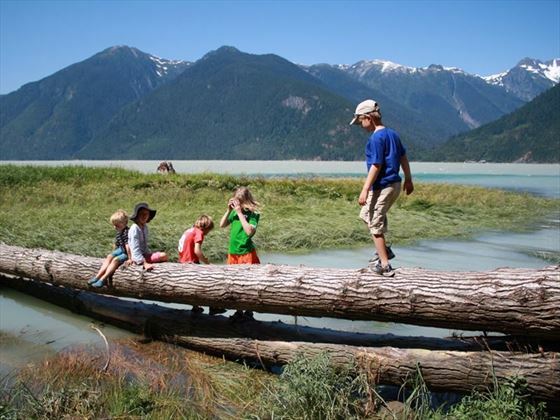 Each chalet is nestled by the beautiful, secluded rainforest scenery, and offers incredible views, lots of privacy, and a fantastic location near to the wildlife viewing platforms. You’ll be treated to a wonderful selection of pampering amenities including comfy bathrobes, slippers, spa-style bathroom facilities, plush furnishings, cosy fireplaces, coffee makers and complimentary Wi-Fi. 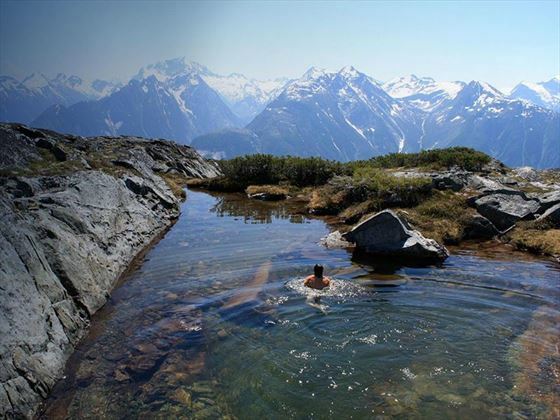 The lodge is situated in the eastern end of the Bella Coola Valley, British Columbia. 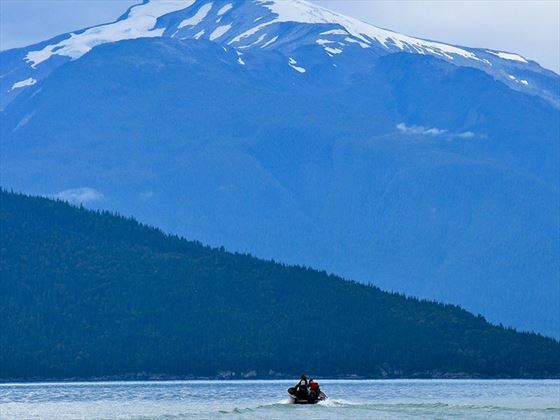 Tucked amongst the Americas largest fjord system, the majestic Coast Mountains and the world’s most expansive area of coastal temperate rainforest, the scenery and wilderness here is unparalleled. 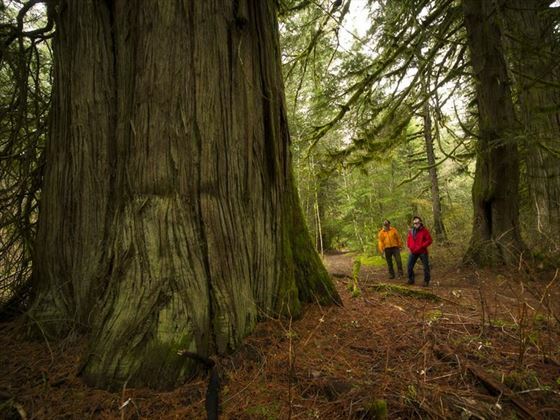 This region occupies many of BC’s bio geoclimatic zones, each offering fantastic eco and bio-diversity, with easy access to the Great Bear Rainforest, Pacific Ocean and neighbouring glaciers. 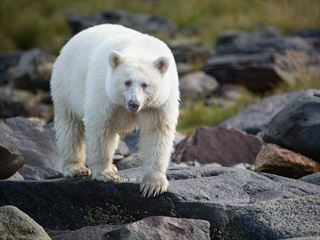 You’ll have the incredible opportunity to explore the terrain and wildlife unique to each zone with private guided tours of this spectacular region. Loft Chalets - These charming chalets are designed to offer the cosy warmth of a classic wilderness cabin, with the comforts of a luxury resort. 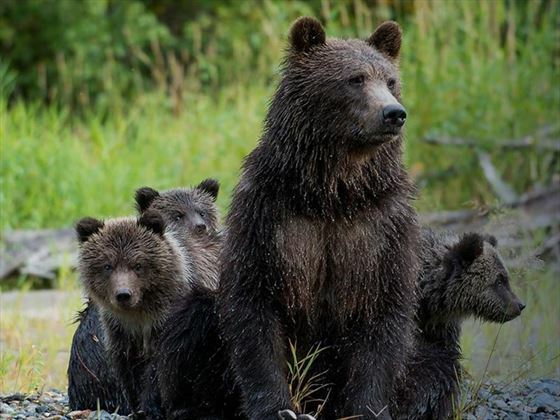 Located in a meadow on the edge of the Great Bear Rainforest, the spacious, timber-framed accommodation is located just metres from the river and wildlife viewing platforms. 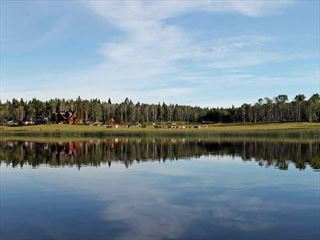 Accommodates up to three adults, or for a family with children. 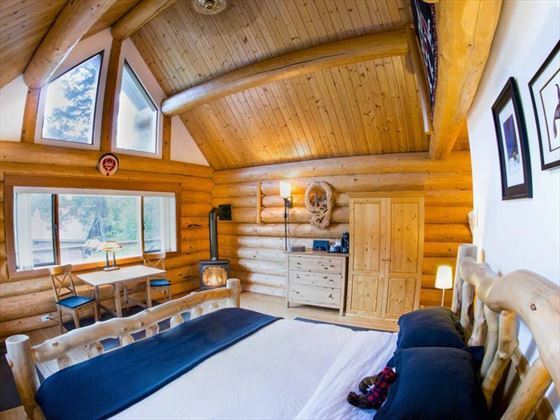 Grizzly Log Chalet - These beautiful little log cabins are perfectly built for couples on a romantic getaway or for small families. Nestled into a luscious mountain meadow, these lodges are just steps from the soothing river and wildlife viewing platforms, and offer warm, plush interiors, gorgeous rustic décor and ample, peaceful living space. The Dining Room - The experienced culinary team serves delicious, international cuisine with a west coast twist. There is a unique menu every day, serving set choices with a well-stocked wine cellar featuring a wide selection of international New World wines. *Please note as the facility is small and intimate, dietary preferences must be stated before arrival. Open for Breakfast (8am - 9am), Lunch (1pm by request only) and Dinner (7pm). Wildlife & Grizzly Bear Viewing Platform - grizzly bears are often seen feeding on salmon in September and October.